Our massage therapist, Jennifer Kirk, is trained in lymphatic drainage which stimulates the lymph system with extremely light, circular movements. How is the Drainage done and What is Lymphatic drainage? Lymph drainage massage (also called lymphatic drainage and lymph massage) is a form of very light massage that encourages lymph flow in the body. Jennifer applies manual hand circular movements to pump or glide techniques that have a very soothing and relaxing effect. It is particularly good for detoxification, after chemotherapy/radiation, reducing inflammation & swelling, blue bruising, fluid retention, or oedema, pre- and post-plastic surgery and post-liposuction. It can also help with cellulite treatments, scar tissue, spider veins, redness and acne. Lymphatic Drainage is a gentle whole body treatment that relaxes the nervous system and aids to increase the body’s immune system. Where on my Body is my Lymphatic System? 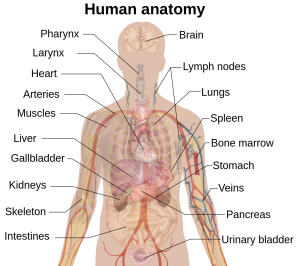 The lymphatic system is located directly beneath the skin. It can be used as part of a facial, or as a whole body treatment. When our lymphatic system is stimulated by massage, toxins are eliminated so our body works more efficiently, the immune system is boosted, and cells are supplied more readily with nutrients. Tell me more about the lymphatic System Through Jennifer’s studies she can share why it is important to have an understanding of the lymphatic system, which is made up of organs, ducts and nodes. Lymph is a colourless fluid containing white blood cells, which bathes the tissues and drains through the lymphatic system into the bloodstream. The lymphatic system acts like a huge washing machine that has been put on the spin cycle and wrings the lymph out of the various tissues and cells. The Lymph glands are found at neck, armpits, groin, etc. and are connected by a broad network of vessels which transplant the fluid. Muscular movement is required to move it, as there is no “Heart” to pump it. The main functions of the Lymphatic Drainage is it produces lymphocytes which prevents disease in the body. It is able to help maintain fluid balance by collecting and returning interstitial fluid to the blood. It absorbs lipids from the intestines and transports them to the blood. The key to a healthy lymph system and drainage is keeping the liver in tip-top shape. There is a big connection between a healthy liver and a properly functioning lymph system. That is because 25-50% of lymph that flows through the thoracic duct is produced by the liver. The thoracic duct is the main duct (from your neck all the way down your abdomen) in your body for the lymph system. It transports most of the lymph to the bloodstream. The lymph in the thoracic duct carries nutrients from the intestines into the blood stream and draws lymph from both halves of the body. If that much lymph comes from your liver and flows into the main “vessel” of the lymph system then it makes sense why a healthy liver=healthy lymph. Temporary change in your body odour. Increased sweat. Weight loss with a reduction in adipose and cellulite tissue. Drink plenty of water after a lymph drainage massage to help flush out toxins. Stay away from salt and alcohol after a massage, as they inhibit the body’s ability to flush out toxins. Wear light loose clothes. Sessions It is recommended to have 4 session’s of 1.1/2hours on a weekly basis. To read more about our experienced massage therapist Jennifer Kirk click here.